Delhi-based nutritionist Monisha Ashokan said, "Superfood spinach is loaded with nutrients that support good health." You must add this vegetable in your winter diet! Due to its nutritional properties, spinach gives the ability to help prevent chronic diseases. This superfood is must in your diet! We all know the numerous health benefits that all the vegetables offer. But there are some vegetables that are incredibly nutritious and one must include them in their diet. One such vegetable is spinach. It is a green leafy vegetable which is packed with several nutrients. Spinach can also be called as a superfood because of the wide variety of vitamins and minerals it contains. Due to its nutritional properties, spinach gives the ability to help prevent chronic diseases and is beneficial for the overall health. Spinach is rich in vitamins like vitamin K, vitamin E, vitamin A and vitamin C. Minerals like folate, manganese, magnesium, copper, phosphorus, potassium, iron, potassium and calcium are also found in abundance. We all know the numerous health benefits that all the vegetables offer. 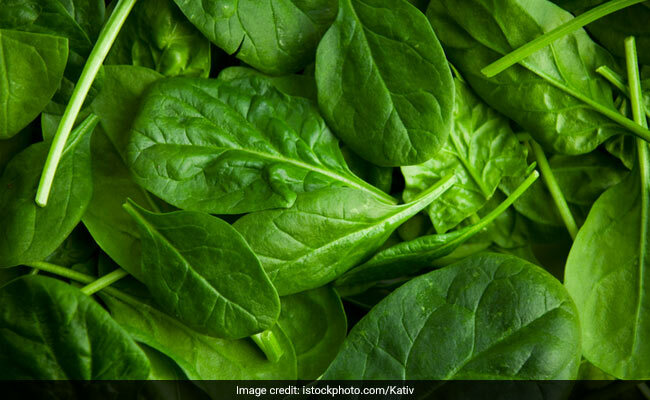 Delhi-based nutritionist Monisha Ashokan said, "Superfood spinach is loaded with nutrients that support good health so here we are telling you a few of its benefits. Spinach is a great source of iron so if you are suffering from low haemoglobin levels make sure to add a cup of spinach to your diet. Spinach is rich in magnesium which is important for maintaining muscle and nerve function, regular heart rhythm, a healthy immune system and maintaining blood pressure. This is not all, spinach is rich in vitamin A which helps in maintaining healthy skin and hair." The folate present in spinach is good for maintaining a healthy heart. The magnesium content in the vegetable helps lowering the high blood pressure levels. Thus, making it a great food for heart patients. Dark green vegetable, spinach is a good source of calcium and vitamin K. The mineral calcium and the vitamin are two nutrients that play important role in maintaining bone health. They can increase bone density and reduce the risk of fractures. Thus, people suffering from osteoporosis should include them in their diet. 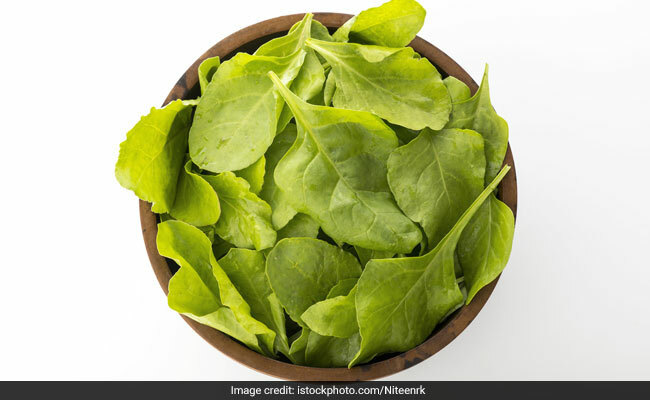 Lutein is an important nutrient in spinach that helps prevent against certain eye ailments like cataracts and fights against macular degeneration, which is the leading cause of blindness in senior citizens. Also, the vitamin A present in spinach helps in treating dry eyes, itchy eyes and eye ulcers. Also, the vitamin A present in spinach helps in treating dry eyes, itchy eyes and eye ulcers. Adding spinach to your diet can help aid in smooth digestion, prevent constipation and promote a healthy digestive tract. You can add spinach to your sandwiches, soups, salads or even it as a main dish. Spinach is rich in fiber which helps curb your appetite and prevents you from overeating in the next meal. Fiber is automatically linked with weight loss as it promotes fullness. Nutritionist adds, "It's great for weight loss." Like many other leafy green vegetables, spinach is packed with antioxidants, which are important for the skin cell development and promote a healthy skin tone. Other amazing benefits of spinach for the skin include an increase in the production of collagen, which helps to strengthen the capillaries for a smoother skin tone. 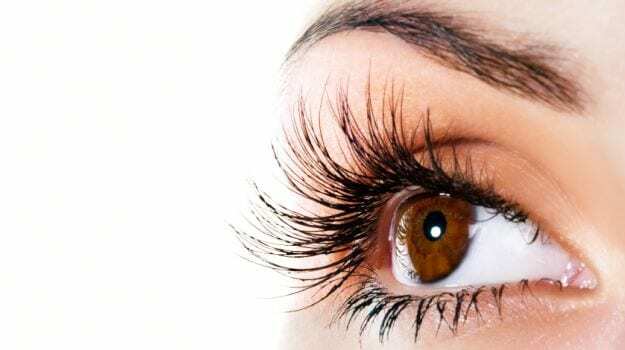 This also helps in reducing the appearance of wrinkles, pimples, acne and fine lines. The vitamin A in spinach can also help your skin retain moisture to fight against dryness and psoriasis.